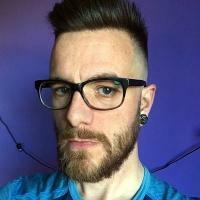 Coming from a singlespeed XC background, I have a solid understanding of how and why some folks might choose a more challenging tool for the trail. It’s decidedly not for everyone. Lining up to board a ski gondola in the Dolomites with the Nordest Bardino “enduro hardtail” comes with a related appeal for me, and garnered similar looks of confusion from fellow riders. Nordest Cycles is the culmination of Pedro Jerónimo’s eight years of custom frame building experience with his original brand, Jerónimo Cycles, and the artistic and marketing wit of lifelong mountain biker Jesús Guerra. Together the pair set out to create super capable bikes in the same vein as what Jerónimo offered through his custom frame business, but with all of the new frame production taking place in Taiwan. Released in 2016, their first model was the Bardino enduro hardtail, offered in 4130 steel or Ti3Al2.5V titanium tubing. The titanium model is available with a standard drivetrain or with a Pinion internal gearbox in their Lacrau Ti model. 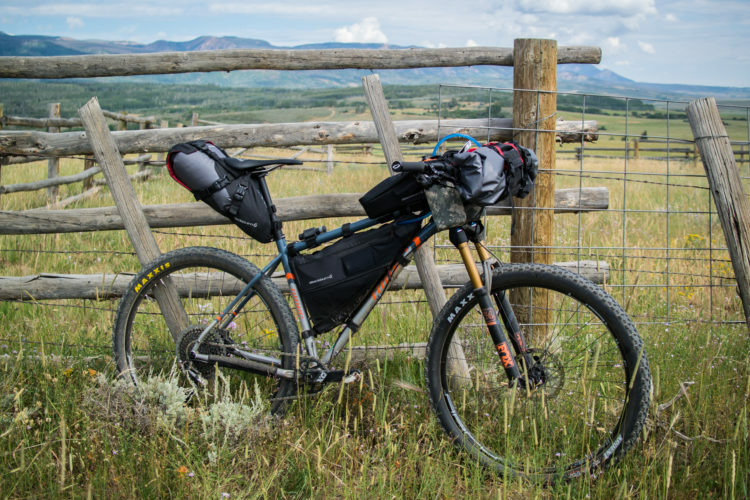 Nordest also recently released a bikepacking mule named the Sardinha that looks ready for some long, getting-lost excursions. 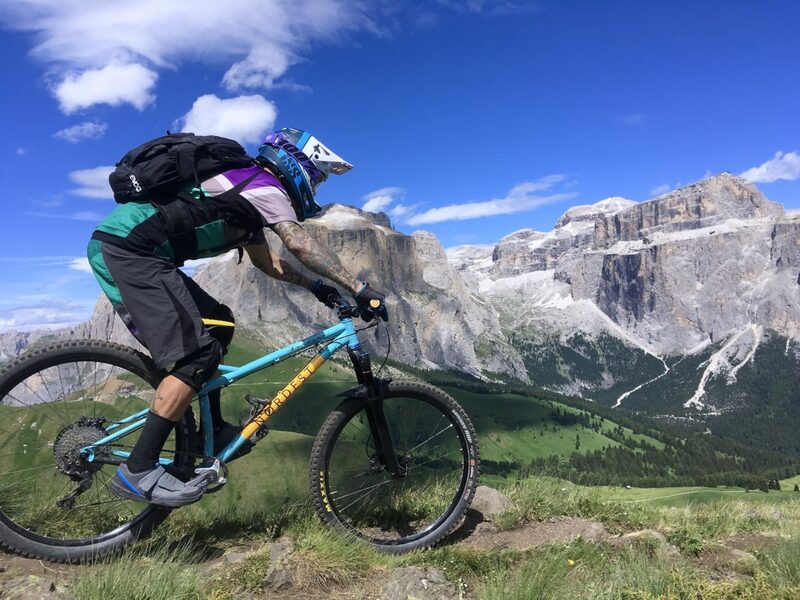 Hailing from the Canary Islands, the team at Nordest Cycles has access to some burly backcountry for frame testing and development. The Bardino was designed in the newly formed tradition of a modern party bike, with a relaxed 65° head tube angle, long front to center measurements (438mm for size medium), short 425mm chainstays, a 55mm BB drop, a leggy wheelbase measuring 1184mm (also size medium), and a steep seat tube angle sitting at 74.5°. If you ignore the fact that there is no rear shock, this whip is well aligned with the burliest gravity bikes on the market. Options abound for this frame. Customers can order a frame only, starting at €549, “kit” options including frame/fork/headset/dropper-post starting at €1449, and complete bikes from €2499-€4299. In addition to frame material, drivetrain technology, and component selection, riders can choose to build their Bardino with 29×2.5” or 27.5×3” maximum tire widths. Nordest also offers a strictly 27.5 option for folks who are satisfied with that standard. While optimized for 160mm forks, the Bardino can accommodate anywhere from a 140-170mm of travel up front to satisfy the rider’s particular riding style and trails. Shipping within the EU is free, and Nordest products are available worldwide. 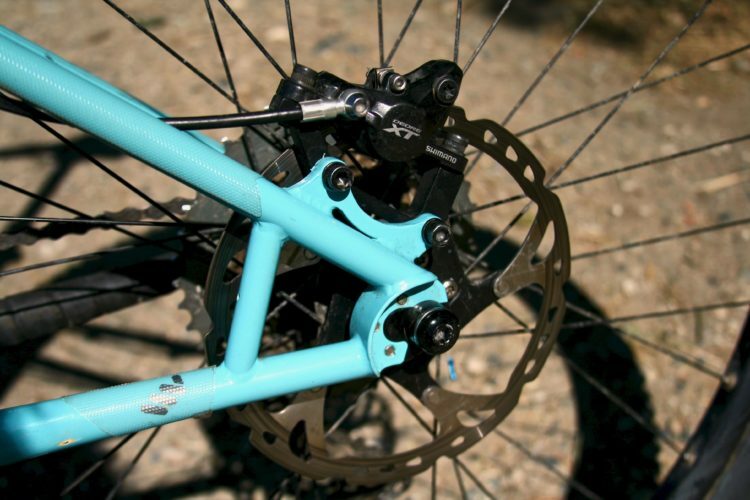 Many of my favorite elements of the Bardino frame rest in its simplicity. With a threaded bottom bracket plus external brake hose and shifter cable routing, repairs take minimal time and zero dentistry skills. 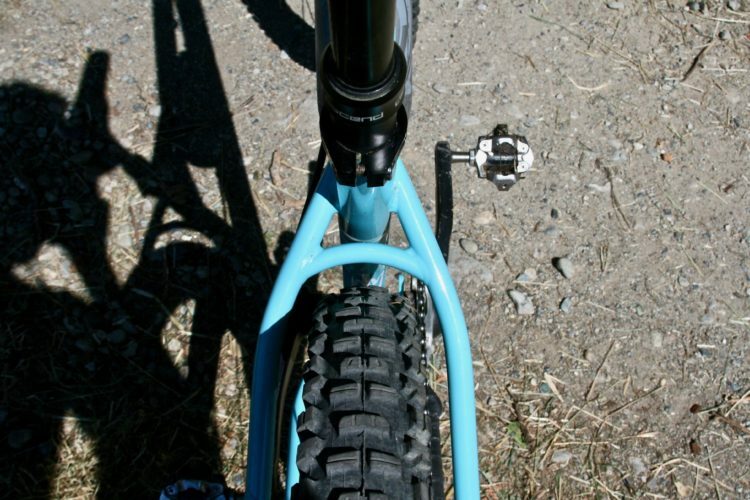 The dropper post housing runs along the top of the down tube to an internal port on the lower seat tube, and a remote can be mounted on either side of the cockpit. The build is intentionally clean and simple, taking me 3-beers-time to assemble. 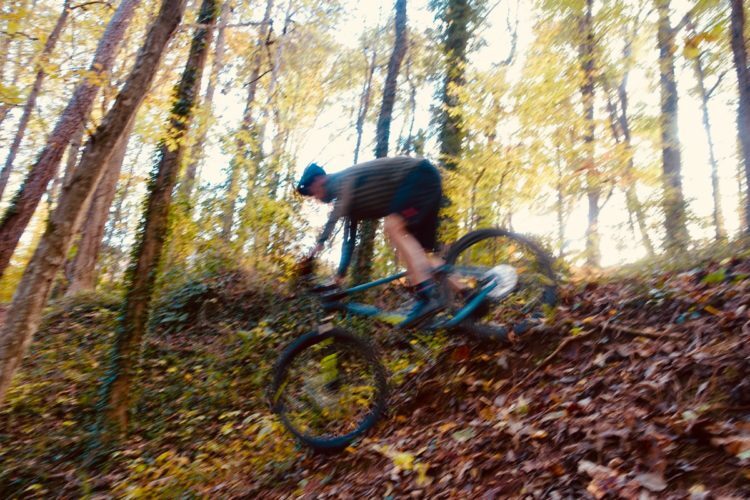 Before heading off to the Alps to test the Bardino on steep 20-minute loose-chutes, I had several weeks on my home trails in Turin, Italy to get properly acquainted. Having recently spent a lot of time on a capable full-squish trail bike I knew this setup would require some style adjustment. Naturally, I rode the Bardino on the steepest and fastest backyard trail first. With proper gravity-focused tread wrapping my wheels, and a slightly wandering front end due to the 65° headtube angle, the initial climb felt sluggish and awkward. I quickly decided to slide my saddle about 1.5cm forward, firmly planting the front end and making the overall ascent feel much better. With the saddle adjusted the bike climbed quite nicely, and I appreciated the immediate power transfer from the stiff rear end. With a little more attention to steering and an acknowledgment that the build is entirely gravity focused, the bike climbed reasonably well. On the drop toward home it seemed I’d hopped on a different bike entirely, without ever getting off. 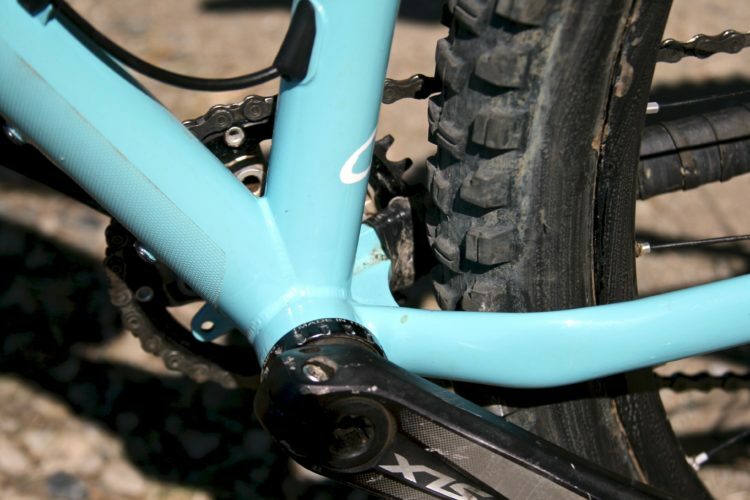 The Bardino’s geo, coupled with its lanky fork, makes the bike feel nearly as capable as most any full suspension bike, provided the rider is willing to adjust their typical body position. In order to stay behind the handlebars I needed to anticipate larger rocks and jump-lips that would cause the rear end to buck up quickly. As the trail became rougher It helped to be extra low on the bike so that my joints could be loose and ready for what I started calling the “donkey-kick affect”. Having ridden hardtails for the majority of my MTB life I was stoked by the capabilities of this bike, and the unique body-English challenges that the stiff tail demands. Keeping my heels low is imperative, both to allow for suspension flex in my ankles and to put even force into the bike through my feet. Dropped heels also help plant the moto-tread Minion DHR tire firmly on the ground when it’s time to cut some speed. External to internal dropper routing. 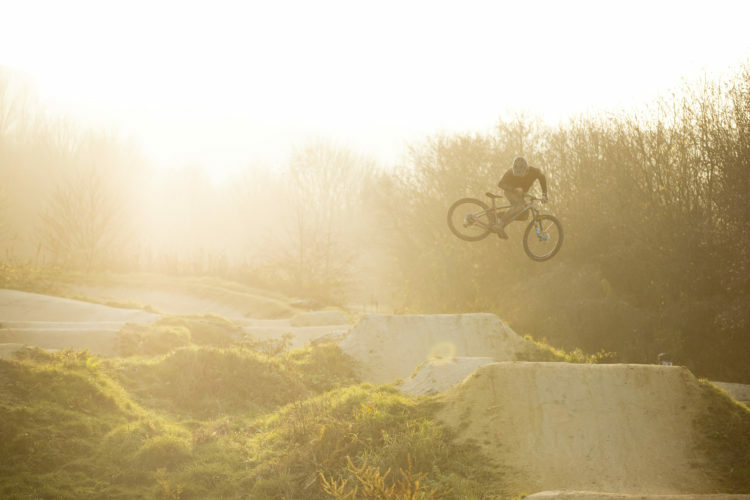 Initiating a bunny hop or compressing off a jump also requires some reworking. Not only is the bike heavier than my other hardtails, but all of the preload has to come from my legs rather than a rear damper. It took me a run or two to remember all of this, and another couple to get comfortable with letting the tail wag more in all directions. 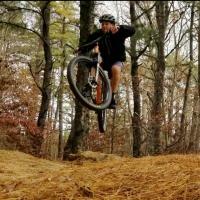 I ran 5-10 PSI higher than I would with most 160mm forks, to help loft the bike in the air when needed. Over the first few days of testing, I woke up with some sore stabilizer muscles as my tissues adjusted to a beating I haven’t given them in a few years. If I could change one thing about this frame It would certainly be the weight, as I am a light rider and I like bikes I can toss around easily. My complete build, with pedals, was roughly 30lbs. 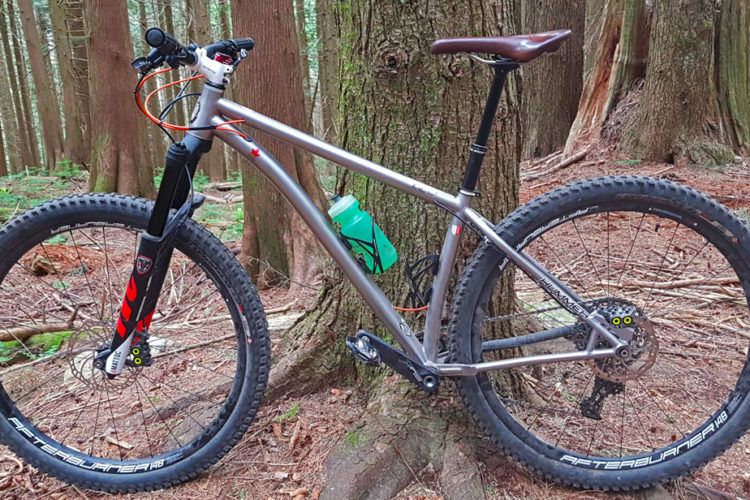 Fortunately, Nordest offers several titanium models that are reportedly 30% lighter than this steel bruiser. Additionally, the steel frame is super stiff, and I would love to test a titanium model to see if the lighter material absorbs trail chatter differently. 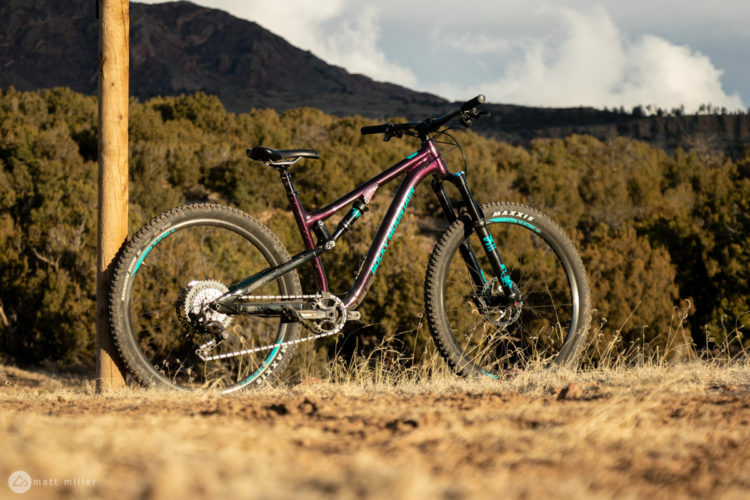 The Nordest Bardino is a fantastic bike for anyone who enjoys gravity riding and wants a ripping fast, simple, reliable, and ridiculously affordable frame. The bike is far more playful and capable than I expected, and several friends who have borrowed it fully agree. If you are someone who takes all ten grocery bags in the house in one haul, or you simply want to sharpen your shredding knives, this may be the frame for you. Some of my favorite angles. Holger Baer, I used a boost hub, and it is still shifting flawlessly. 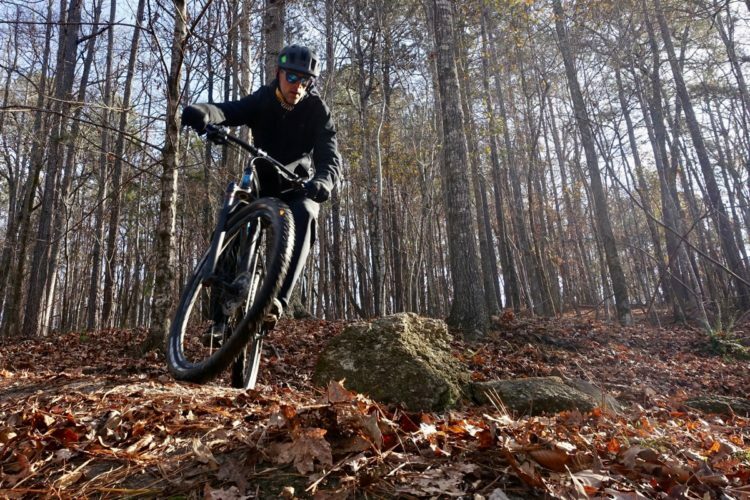 No chain drops, no clearance issues, just fun shredding! Great review. And great bike. Definitely a true All Mountain hardtail. Beautiful piece of bike art. Thanks Sea Loam! 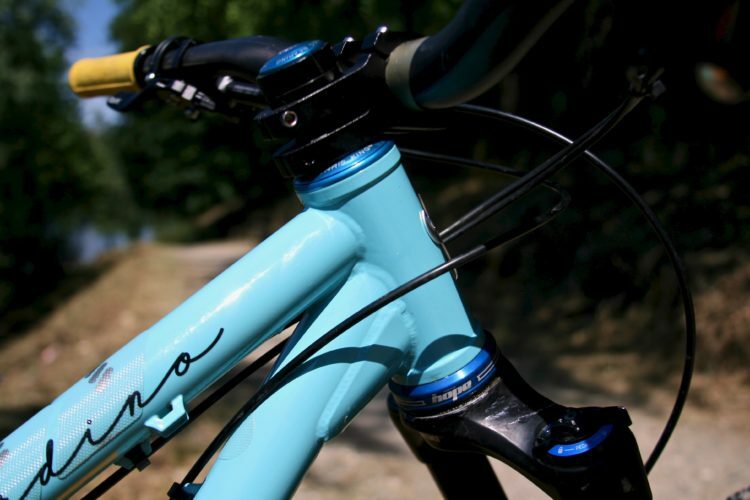 I rode the Bardino in Finale Ligure this weekend and it was the perfect bike for those trails. This thing rips!